Today Carew is as perfect for a gentle stroll and a picnic as it is for an action packed day of discovery and adventure! Set in a stunning location, in the Pembrokeshire Coast National Park, with magnificent views overlooking a 23-acre Millpond, the Castle is one of the most architecturally diverse in Wales; from the west a Norman fortress, yet from the north a splendid Elizabethan mansion. Discover the many rooms, towers and halls as you learn about the Castle’s most famous residents from the beautiful Princess Nest to Sir Rhys ap Thomas, the Kingmaker. The Castle and Mill are open daily from the end of March to the start of November 10am to 5pm, with shorter opening hours in the winter. It offers free parking, a brand new tearoom serving light lunches and homemade cakes and two gift shops. Guided tours can be pre-booked. 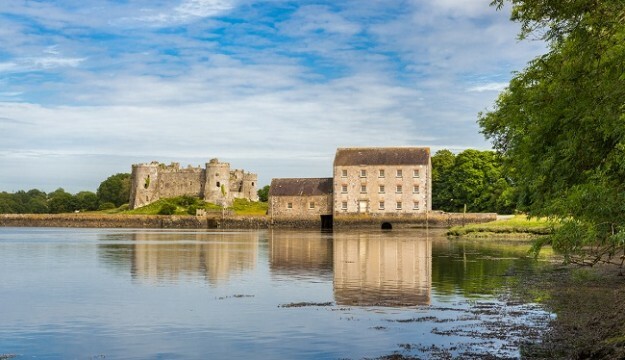 The annual Carew Castle Christmas Craft Fayre will be held on Sunday 25th November featuring dozens of the finest craft makers and local food producers, festive live music, Santa’s grotto and mulled wine.